The facade of St. Peter and St. Paul church, a prominent feature of Rajhrad Abbey. Located a short distance from the South Moravian capital, Brno, is the small town of Rajhrad. Here, you will find a Benedictine abbey which dates to the mid 11th century and holds the distinction of being the oldest monastery in Moravia. While it is unclear whether the abbey began life as a monastery or some other category of church building; it acted in the capacity of a monastery until 1813, when it was promoted to an abbey. As one would expect with a structure of this age, history has been both cruel and kind to it in turns. It survived, though extensively damaged, a series of attacks and invasions through the 1200s. By contrast, the bulk of the 1700s and 1800s saw extensive redesign and renovation of the structure; some of this redesign occured under the supervision of famed Czech architect, Jan Blažej Santini-Aichel. Looking across the abbey courtyard. Santini-Aichel’s mark is still seen in the abbey to this day through the visible mix of Baroque and Gothic styles, a hallmark of the famed architect. The abbey’s monastery was abolished in 1950 and the building given to the Czechoslovak army for a period of time while other parts of the structure were put to use for crop storage. The Benedictine order returned to the abbey in the 1990s, following the fall of Socialism. Since then, constant repairs and restorations have been performed on the structures. The Museum of Literature, an arm of the Brno Regional Museum, has kept its seat at the abbey since 2005. This collection comprises significant Moravian literary works spanning the 9th to the 20th centuries. Display cases hold a small part of the Museum of Literature collection. Keeping in the spirit of the Rule of St. Benedict, which states that monks in monasteries should spend significant time reading and studying, a well stocked library has been part of the abbey from the very start. The monastery’s collection had grown to appreciable size by the time the first official librarian and archivist were appointed in 1709. The library grew steadily until the end of the 19th century, when the abbey was forced to sell some of the collection due to financial difficulties. Upon the abolition of the monastery in 1950, the library and archives came under the care of the State Research Library, later to become the Moravian Library. In the early 1970s, due to structural problems in the building, the library had to be temporarily removed from the abbey premises. More examples of old works in the Museum of Literature collection. In the early 1990s, the library was returned to the care of the abbey and by 2004, after extensive structural stabilisation and restoration work to the library rooms, the books were returned to their places in the abbey. 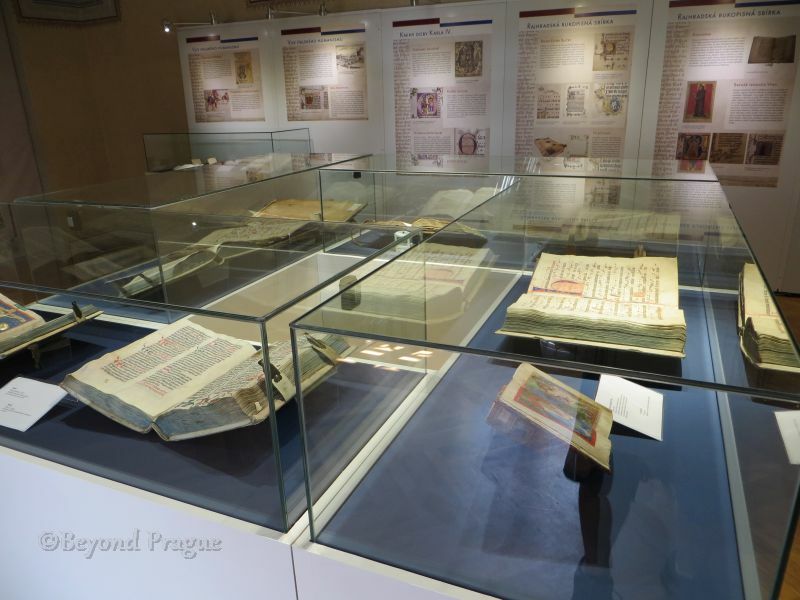 Since 2005, the library has been in the care of the Brno Regional Museum and has been open to the public via guided tours. Unfortunately, though understandably, photography of the restored library areas is forbidden. However, there is an atmosphere to be experienced there which can’t be conveyed by mere photographs. Beyond the incunabula, manuscripts and books which make up the library, the abbey also holds an extensive collection of printed graphic work as well as a collection of maps and atlases in its museum. The abbey museum also contains an array of artifacts from the Benedictines’ activities in the area over the centuries. Interior view of the abbey’s church. There is a great deal more to the abbey and its history than I’ve written here. 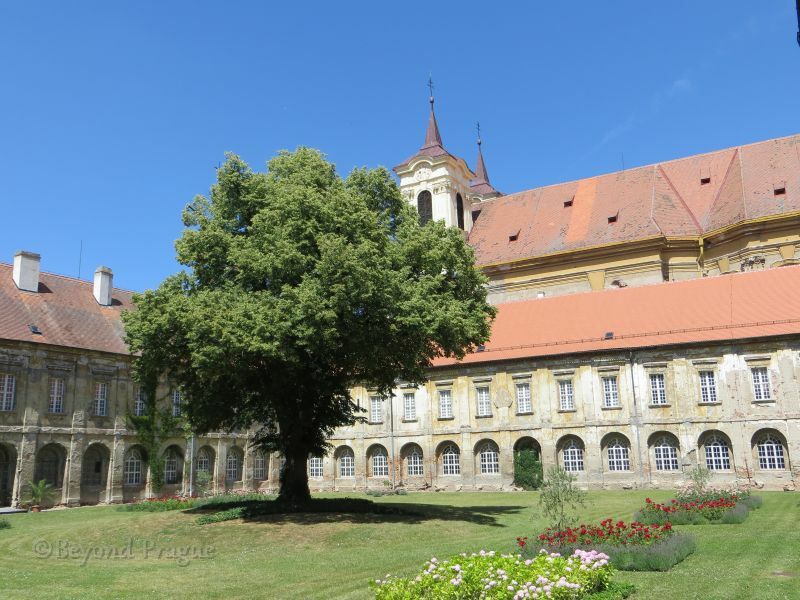 If you’re the least bit a fan of old books and libraries, you should most certainly put the abbey on your travel itinerary if you’re passing through the South Moravian region. 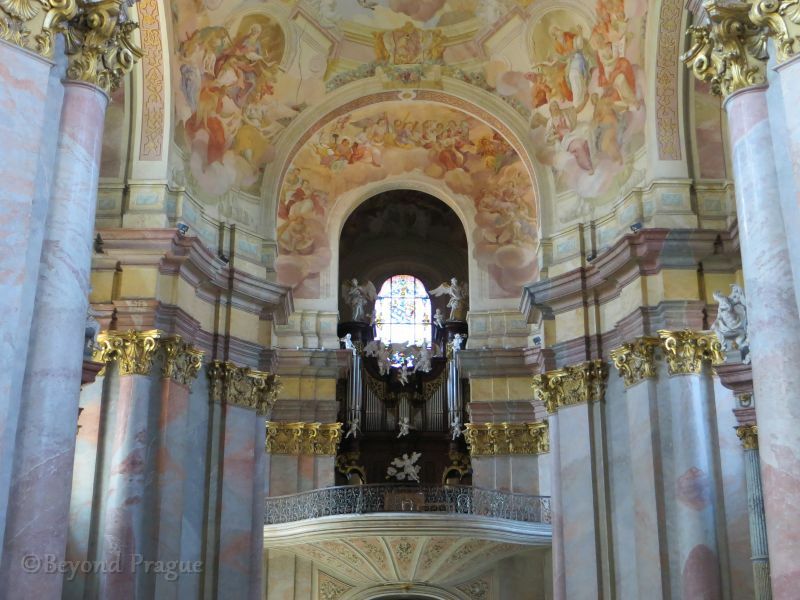 Happily, Rajhrad is easily reachable from Brno by rail and the abbey is neither a far nor strenuous walk from the town’s rail station. Alternately, there is a once an hour bus which runs from Rajhrad’s rail station directly to the abbey. 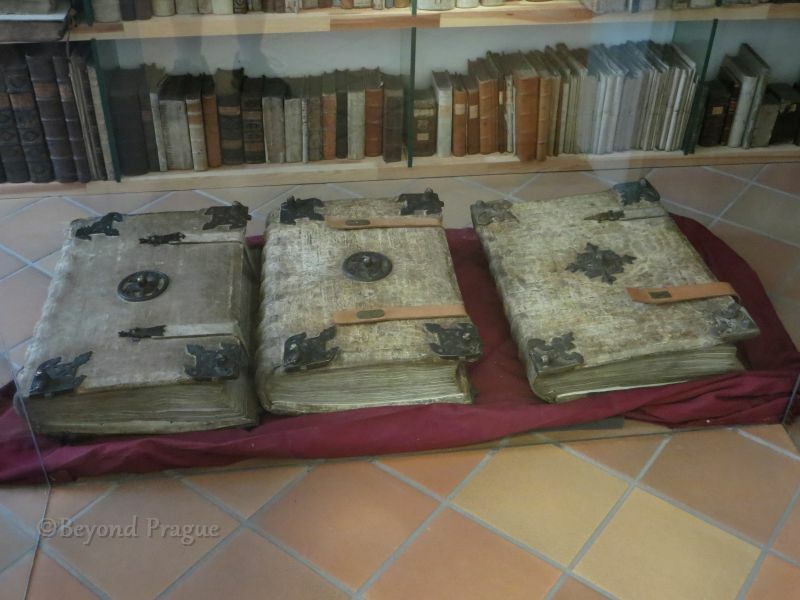 Tours of the abbey are in Czech, though text transcriptions are available in other languages. Also on the abbey property is a restaurant where you can refresh yourself after touring the attraction.